How to Solve Climate Change Problem? Climate change is a real problem that is happening now and is steadily worsening. But it is a problem we can now try to avoid its effects by planning well and dealing with the current changes for all countries of the world, "rich and developing countries alike" because we caused them and no one else can stop them. The trend towards industrial development in the last 150 years has led to the extraction and burning of billions of tons of fossil fuels for power generation. These types of fossil fuels have released gases that hold heat as carbon dioxide, one of the main causes of climate change. The amounts of these gases were able to raise the planet's temperature to 1.2 degrees Celsius compared to pre-industrial levels. If we want to avoid the worst consequences, we must compute global warming to stay below 2 degrees Celsius. Climate change kills 150,000 people a year - 20% of wild animals are to be extinct by 2050 - the world's industries are beginning to lose billions of dollars in agricultural industries, but what has happened is not happening in the future. If we fail to act to curb the speed of the consequences of climate change, the number of threatened people increases and the proportion of endangered species rise from 20% to one third, while the financial consequences of climate change are expected to exceed global GDP by 2080. We have the opportunity to stop this disaster if we move immediately. Climate change is an imbalance in typical climatic conditions such as heat, wind patterns and precipitation that characterize each region on Earth. When we talk about climate change at the global level we mean changes in the Earth's climate in general. The pace and magnitude of long-term global climate changes have enormous impacts on natural ecosystems. The greenhouse effect is a phenomenon in which the atmosphere holds some of the sun's energy to warm the globe and keep our climate mild. Carbon dioxide is one of the most important gases that contribute to the doubling of this phenomenon for its production during the burning of coal, oil, and natural gas in power plants, cars, factories, and others, in addition to deforestation. Another greenhouse gas is methane emitted from rice farms, cattle breeding, waste dumps, mining and gas pipelines. Chlorofluorocarbons (CFCs) responsible for ozone layer corrosion and nitric oxide (fertilizers and other chemicals) also contribute to this problem because of their heat retention. Climate change is due to the rise in anthropogenic activity of greenhouse gases in the atmosphere, which is holding more heat. The more human societies have followed more complex lifestyles and the machines needed more energy. Rising demand for energy means burning more fossil fuels (oil-gas-coal) and thus raising the proportion of greenhouse gases in the atmosphere. Humans have thus amplified the natural greenhouse effect on heat retention. This amplified greenhouse effect is cause for concern, as it is likely to heat the planet at an unprecedented speed in human history. Climate change is not a small difference in climate patterns. Temperatures that are increasing will result in changes in weather types such as wind patterns, amount of precipitation and types, as well as the frequency of several possible climatic events. Loss of drinking water stocks: Within 50 years, the number of people suffering from drinking water shortages will rise from 5 billion to 8 billion people. The decline of the agricultural crop: Any change in the overall climate is likely to affect the local agriculture and consequently reduce the food stock. Decreasing soil fertility and worsening erosion: Changing plant habitats, increasing drought and changing rainfall patterns will exacerbate desertification. The use of chemical fertilizers will be increased automatically and toxic pollution will be exacerbated. Pests and diseases: High temperatures are favorable conditions for the spread of disease-carrying pests and insects such as malaria-carrying mosquitoes. 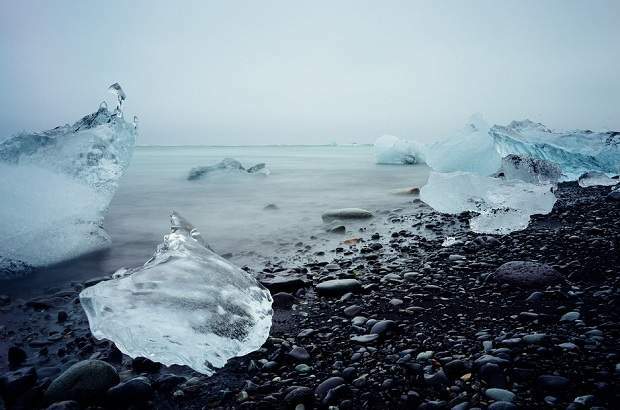 Sea level rise: The global warming will lead to the expansion of ocean water mass, as well as the melting of large glaciers such as Greenland, which is expected to raise the sea level from 0.1 to 0.5 meters by mid-century. This potential rise will pose a threat to coastal communities and their cultivation as well as freshwater resources on the coast and the presence of some islands that will be flooded. The frequency of accelerated climate disasters: The high frequency of droughts, floods, storms, and other harms communities and their economies. Humanity has never faced such an enormous environmental crisis. Ironically, developing countries with less responsibility for climate change will suffer the worst consequences. We are all responsible for seeking to stop this problem immediately. If we fail to take action now to stop global warming, we may have irreversible consequences. Since the burning of fossil fuels is the main source of greenhouse gases, "global warming" should reduce our dependence on oil as a major source of energy. Alternative solutions exist "peaceful" renewable energy and rational use of energy. Nature offers a range of alternative options for energy production. As energy conservation is rationalized, renewable energy resources such as the sun, air, waves, and biomass provide reliable, efficient and environmentally responsible sources of energy for the generation we need and the quantities we want. The implementation of these solutions will not require any concession from the citizens on their lifestyles but will enable them to enter a new era of energy that will bring them economic prosperity, employment opportunities, technological development, and environmental protection. The globe receives enough solar radiation to meet the growing demand for solar systems. The proportion of sunlight that reaches the Earth's surface is enough to provide the world's energy needs 3000 times. Each square meter of land is exposed to the sun, on average, enough to generate 1700 kWh of energy each year. The sunlight is converted to electricity and the generated direct current is stored in batteries or converted to a current on the grid through an electrical transformer. Giant mirrors focus sunlight in a line or point. The heat produced is used to generate steam. Hot steam is used to run turbines that generate electricity. In sun-flooded areas, solar thermal power plants provide large amounts of electricity. A study conducted by Greenpeace under the title "Solar thermal power plants 2020" in cooperation with the European solar thermal industry concluded that the amount of solar energy produced around the world could reach 54 billion kilowatt-hours (kWh) by 2020. In 2040, it is possible to generate more than 20% of the total electricity demand. The use of wind power has reached advanced stages. Air power is a comprehensive phenomenon and the most renewable sources of renewable energy based on modern technology clean, effective, sustainable, and no pollution. The current wind turbines are a very sophisticated technology - they are adjustable, easy to install and operate, and are capable of generating more than 200 times the power of the world today.